This is a new post at SARSVL and will be the lead for office co-ordination and administration for all functions of the organisation, including managing referrals into our frontline services. This post at SARSVL will develop and oversee SARSVL’s fundraising activities and strategy. The main aim will be to generate income from a variety of activities for the implementation of SARSVL’s current services, operations and new developments in line with SARSVL’s business plan. This is a varied and exciting role for the right candidate to bring along their own experience and ideas to help shape the future of fundraising at SARSVL. 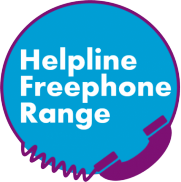 This is a new post at SARSVL which has been set up to manage and further develop SARSVL’s Helpline services. The post holder will be responsible for recruiting, training and managing a group of Helpline volunteers. They will also manage the delivery and ongoing development of high quality Helpline services including telephone, email, SMS and face to face emotional support. For an application pack for any of the posts e-mail rebecca@sarsvl.org.uk clearly stating the post you are interested in.